Seeing my teammate's business trip posts made me miss Singapore and my trip, which I dubbed to be the best vacation I have had yet. This also made me realize that I still haven't posted about one of the most frequently asked questions about this trip-- Where did you stay in Singapore for 10 days? I stayed in a relatively low cost hostel, which is apparently situated in an area filled with other hostels. 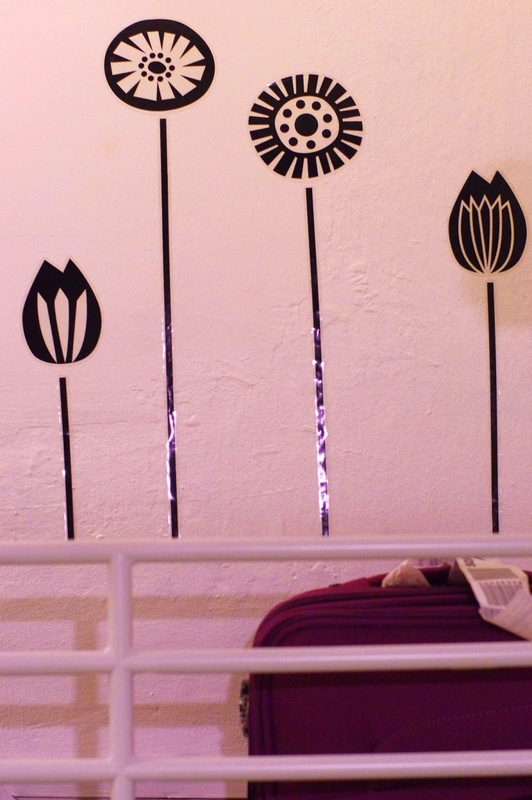 The Gap Year Hostel became my top choice mainly because of the price offered for what seemed to be a decent and clean hostel through pictures. Mostly, I paid 17 SGD/night and 19 SGD on some days (weekends). 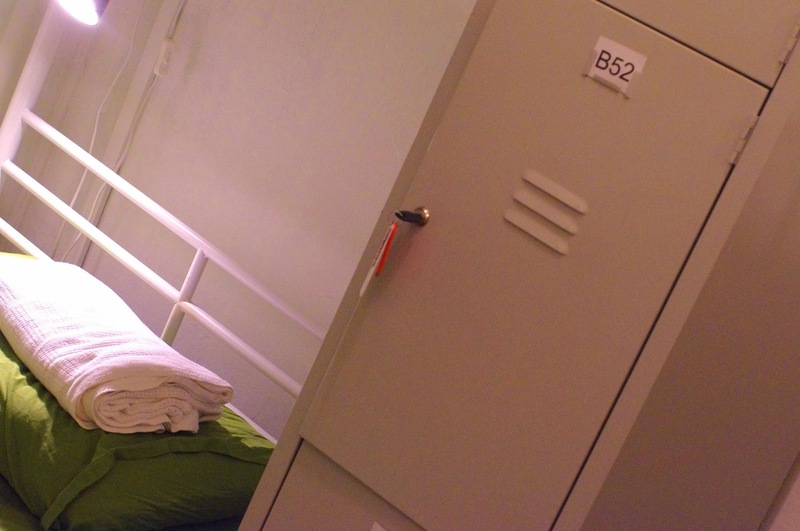 I've learned that it is cheaper to book your stay via Hostelworld rather than Agoda and other hotel booking sites. Heck, even the walk-in rates are more expensive! If I recall correctly, I think it's 22 SGD per night and 26 SGD for weekends. I only booked four nights in advance and in order to book the rest of my stay, I had to book it online instead of just paying over the counter. The receptionist said there wasn't anything they can do about the price. You can view the cheapest rates of Gap Year Hostel here. 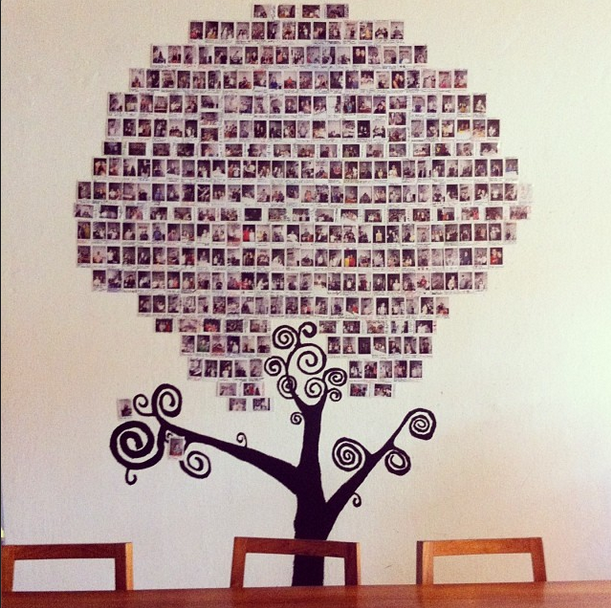 The Polaroid Tree made up of photos of Gap Year Hostel's customers. Being the good document-er that I was (and of course, I'm kidding), I was only able to take one photo of the common area. Using this photo as the reference, at its right will be the two computers that can be used by guests. Beside the computer desk is the big circle rattan couch, where it's so easy to doze off. In front of the couch is the reception area that's the first thing you will see when you enter the hostel. Going back to the photo for reference, in front of this is where you will find the DIY breakfast set. It's not much of a breakfast, but it's pretty much the usual thing you'd get in Singapore hostels. I'm talking about coffee, bread, peanut butter and jam. There is also a fridge where they sell bottled water, canned juices and canned beers. I compared with convenience store prices and the hostel's was actually cheaper. At the left side of this picture is a bookshelf filled with an assortment of books, from travel guides to novels. I read on a review somewhere that some of these books were actually left or given by guests. Beside the bookshelf is a sofa set where the guests can do their socializing. 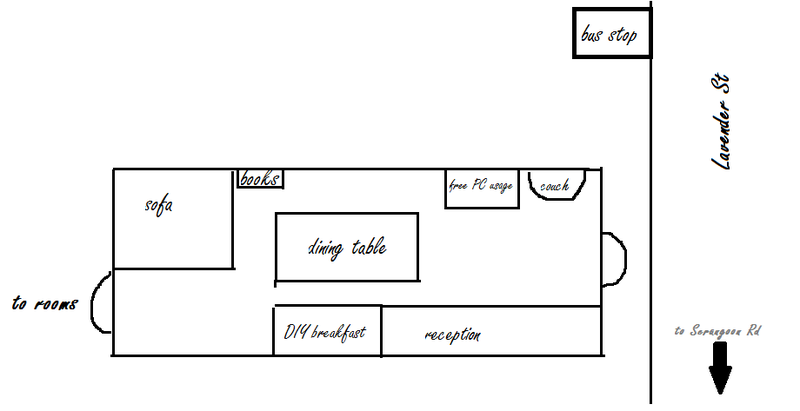 Since I know it might be hard to picture out everything I said, here's my best effort to show you the layout via MS Paint! This has not been a good review so far due to the lack of visuals, I know! What I do have, however, are photos of my room, a dormitory room to be precise. It's a room with three bunk beds for six female guests. Although my 50mm lens is very limiting, for a dormitory room, there is a decent amount of space due to that the bunk beds were placed in a U layout. Just beside the bed, you will find the provided locker. It's just a bit bigger than my office locker but my valuables all fit in just well. 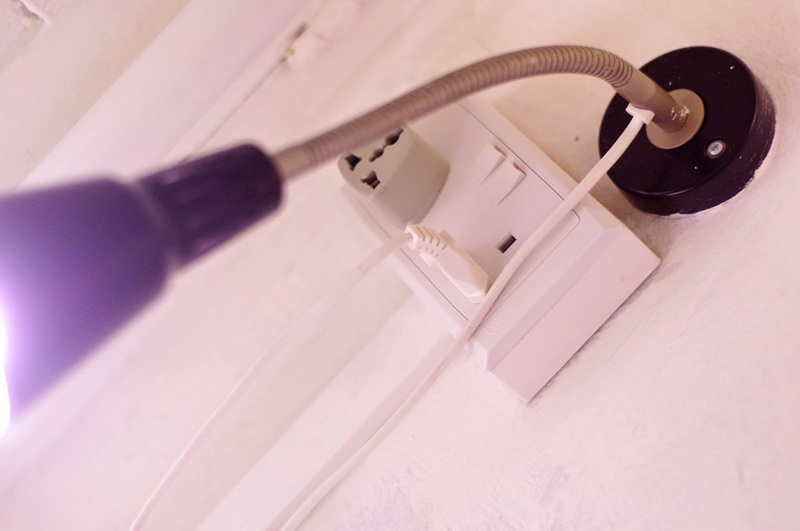 Between the bottom bunk and the top bunk is a night light, for when you want to read without disturbing other guests, and an outlet for your charging needs. Since the sockets use the Singapore standard socket, if your chargers won't fit, you can just ask the receptionist for a universal adaptor. It is free to use, but you will need to provide a 2 SGD deposit, which will then be returned to you once you checkout. 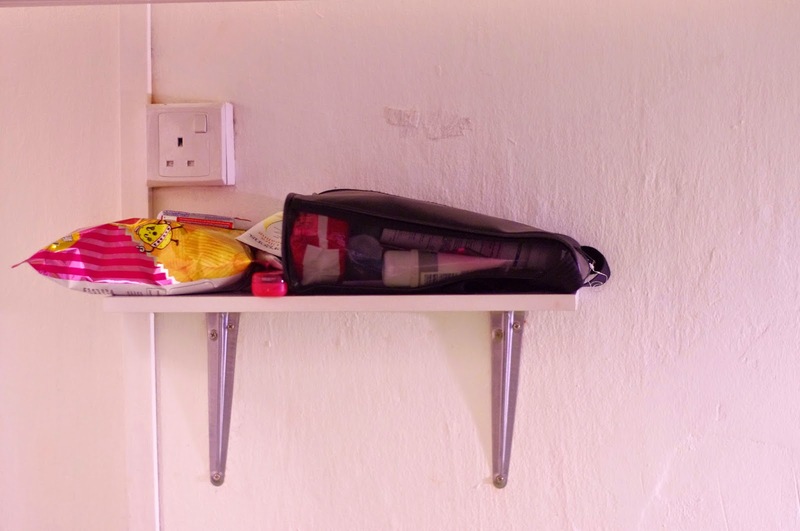 There's a wall-mounted open shelf and here's where I put things that I always have to use like toiletries and junk food. Left: Decals on the wall. 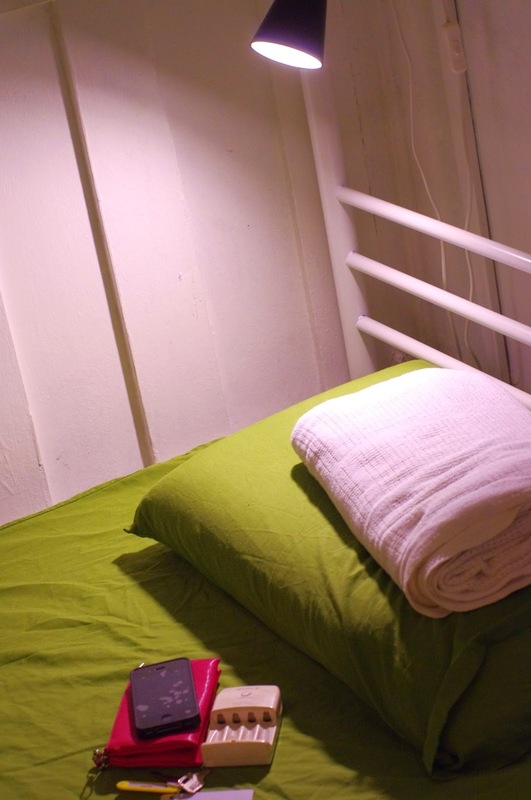 | Right: Here's a shot of the very basic hostel amenities-- a towel, pillow and a blanket. Yes, they have a common bathroom! There are two bathrooms for the four rooms in the first floor. This is usually the part of my trip where I can figure out which of my friends can hack backpacking/budget traveling. Again, I forgot to take photos but simply put, it's a room with the shower and toilet. The good news is that there is a water heater. 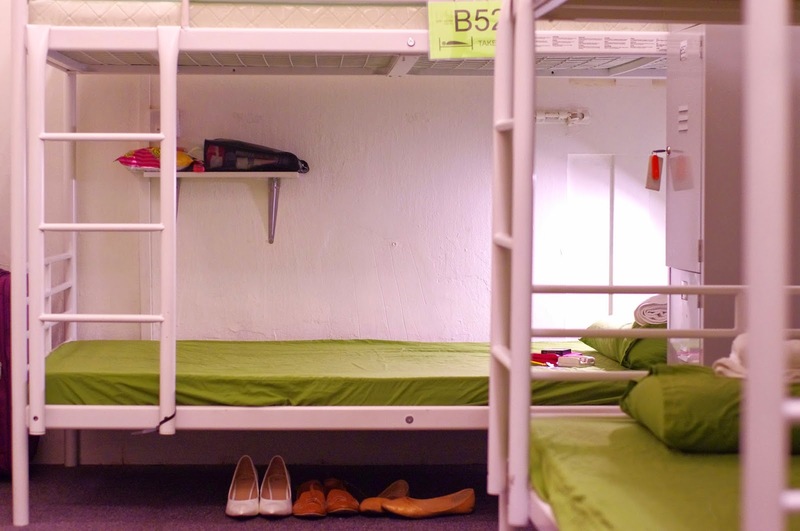 According to another guest who has traveled within Asia, among the hostels she has been in while backpacking for three months, this was actually the cleanest one. MRT's Purple Line - Boon Keng Station is the closest to the hostel. For two days, I have been taking the MRT for its convenience. Practically every place is linked to their MRT system that it puts Metro Manila's own MRT system to shame. (Okay, in fairness to Metro Manila, Singapore is a first world country) But then on the third day, I noticed that there is a bus stop literally ten steps away from Gap Year Hostel. I gave the bus system a try and after that, I would only take the MRT when my friend sets the meeting place inside a train station. Other than that, I've always taken the bus. It was cheaper and it meant less walking. The rates. During this season, this was the cheapest that's not in the Red Light District. The accessibility. Even though this area is relatively farther than the starred hotels, the MRT and Bus stops were enough for every ride to be seamless. The food availability. Aside from the 24-hour 711's, there's a nearby Hawker Centre which is open 24 hours. Inexpensive food at your whim! The guests. There was a variety of nationalities who also stayed there and we all came out as friends. Having their company during the pre-party at the hostel to the New Year's Eve Beach Party in Siloso has been a true highlight of my trip. The staff. Every receptionist I've met is super friendly. The most notable would be Dennis, the receptionist during New Year's Eve. He gave us complimentary alcohol mixers for our hard drinks and he was the one giving out the shots. The website-only discounts. I was literally in front of the receptionist while trying to book my extra nights via Hostelworld. Why do they have to pay the middleman? Why not just let me pay them that same amount. The security. My luggage's lock was smashed while I was outside. Good thing it was really a strong-grade lock. I reported it to the receptionist but they don't have CCTV along the corridor of the dorm rooms so it was impossible to know who did it. In fairness to the hostel, I have not been locking the dorm room door, only because there are people who go to the bathroom or common area and might not have brought their key with them. For four days, it has been safe until that day I returned to see the lock seemed to have been strong-armed. For long vacations, I will. I most probably will. I didn't really mind the common bathroom or the fact that I was sharing rooms with strangers. I know some find this crucial when selecting accommodations, but when push comes to shove and I had to stay in a place for 10 days in one of the most expensive cities in the world, every extra dollar per night will really add up. Interacting with other travelers and sharing the Singapore experience with them was just the cherry on top.